December 6th, 2016 | Moving Tips. You’re moving! You’re looking forward to a new neighborhood, the change in pace, and different acquaintances. Most of all, you’re excited for the adventure that moving presents. You’re just about ready to move, and you’ve got the details all worked out. But the forecast for move-in day isn’t looking so good. Rain or snow is on the radar, and although you’re excited to move, you’re not thrilled about doing it in cold, wet weather. Never fear! Moving is possible even in poor weather conditions, if you are prepared. Below are three tips that can help you prepare for a damp moving day. These tips will help you protect your possessions from the elements, but they’ll also protect you from slipping, sliding, or damaging your new home. People have offered to help you move, but you don’t want to risk your father-in-law’s back when the sidewalk is slick with rain or snow. With a moving company, you don’t have to. Professional movers are trained to carefully protect possessions and move them in and out of homes, and they can perform these tasks in any weather. When you use a moving company, you can depend on their team members to make your moving day as stress-free and easy as possible. Because they have so much experience, they know all of the tricks and tips for staying safe while moving your furniture and other possessions. They’ll keep everything dry and get the job done quickly, even if it is pouring rain. Because moving companies offer insurance, if something is damaged despite every precaution taken to protect it, you can rest assured that your movers have you covered. They’ll ensure that everything is moved in safely and that you receive compensation for any water damage that may occur. Trust a moving company to help make your move easy. Trust us-working with a moving company on a rainy day is much better than spending the day worrying about the safety of your wet friends and neighbors. If possible, arrive before the movers at your new home. This will give you a little time to prepare the house for all of the wet furniture and people that are about to fill it. 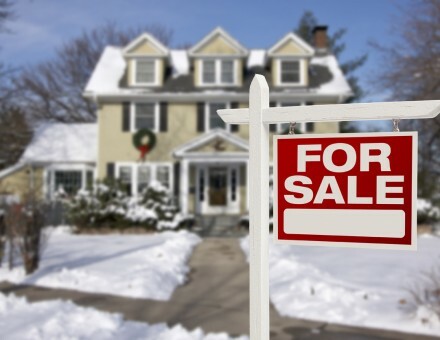 First of all, lay towels and rags in heavy-traffic areas of the house, and especially on both sides of the front door. The movers’ shoes will be wet, and you don’t want dirty water and mud tracked into your brand-new, clean home. You might want to lay down sheets or towels under places where furniture and large appliances will go as well. The water will drip off of boxes and bags, and you’ll want something to catch the water. No point in spending more time mopping up later if you can just soak up the water instead. When the weather is wet, it’s important to cover all of your possessions to avoid water damage. Some things won’t require much extra covering, as cardboard is actually much more durable than it looks. As long as your possessions are in boxes, they should survive the move without any problem. That said, you’re no doubt moving some bulky or awkwardly shaped items, and those things are a bit tricky to fit into convenient cardboard boxes. Your moving company will have industrial plastic covers and other items to protect your possessions from water damage. Cover your furniture with thick, heavy blankets. If they’re thick enough, they’ll protect your wood furniture from water damage. You can remove and wash the blankets easily after the move. Use garbage bags to cover clothing, pillows, and other fabrics. Wrap artwork, mirrors, and other decorations with plastic or bubble wrap. Your possessions will only be out in the rain or snow for a short while, and these coverings should protect them. Once your items are indoors, remove the wrappings as soon as possible to reduce the chance of the damp seeping through to your possessions. It’s important to talk with your moving company about how to protect your stuff because they have the supplies and the know-how to keep your items dry and damage-free. Remember, if the weather really is terrible, it’s all right to stall for a day or two. Ask your moving company about storage unit availability nearby. Better to store your possessions and postpone moving than risk an injury or damage because of the bad weather. Consult your moving company today to learn more.